No day or night at Rutland Bowlerama is complete without some time spent in the game room. Featuring wall-to-wall arcade games to satisfy everyone in your group. 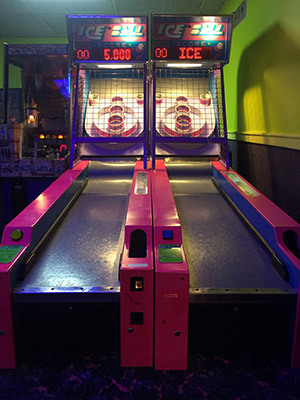 From air hockey to pin ball...we have what it takes to complete your time here. Give your kid a handful of quarters and watch them light up in our game room. Yeah, you grownups, too. A perfect addition to any party you hold with us. The game room is located near the entrance of the building and is open to the general public. To obtain the pool balls and sticks, you must see the person on duty at the front counter.